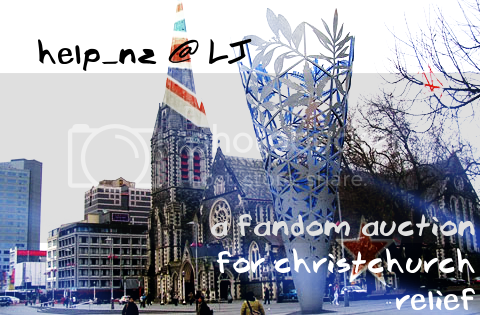 I snagged this from lazigyrl's LJ because I wanted to spread the word about help_nz as well. As I'm only on the second scene of my qldfloodauction story (and shouldn't be donating fic in the first place because I've retired), I'll just be bidding on items this time around. If anyone is interested in bidding or donating items (e.g. fic, icons, wallpaper or whatever) just click on the banner above.